(San Diego, CA) TEAM PHUN™, the San Diego-based company that promotes a positive lifestyle through its fun, distinctive, functional apparel and accessories, is an official sponsor for the 2014 Vans Warped Tour presented by Journeys. At select locations, TEAM PHUN will be engaging music enthusiasts through interactive games, contests, and giving the visitors the opportunity to meet select Vans Warped Tour performers. Such performers include the kazoo-wielding and energetic Beebs And Her Money Makers and actor, producer and musician Vincent Cyr, known for his sensational YouTube videos. This years Warped Tour will feature performances from over 50 artists including Saves the Day, Less Than Jake and Of Mice and Men. Other sponsors include Vans Off The Wall, Never Summer and Victory Records. 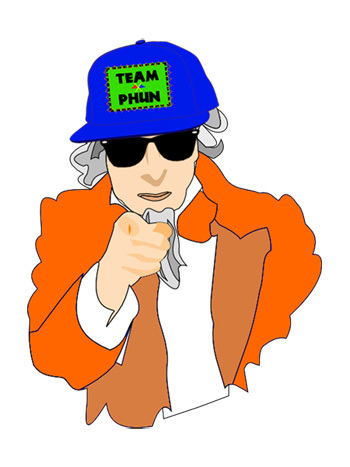 TEAM PHUN is a San Diego, CA based lifestyle brand that values good humor, fun and friendships. The company recognizes, sponsors and encourages fellowship among a diverse confederation of self-defining and socially active communities. Whether they’re surfers, skateboarders, celebrities, extreme athletes, musicians, animal lovers, competitive food eaters, or even YouTube sensations, they're all part of the growing TEAM PHUN community. For more information, contact Lindsey at Linz@teamphun.com or call 203-994-6108.